A brighter future is in your hands. We’re currently seeking a motivated, team-oriented professional to work as a Plant Health Care Technician. This is a challenging year-round position requiring a desire to work outdoors, knowledge of plant I.D., pests and diseases, as well as practical experience in spraying, fertilization and IPM. 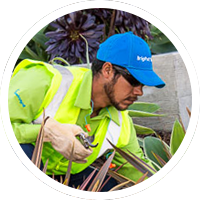 You will be applying control measures and fertilization applications to trees and shrubs on our commercial maintenance properties. As a PHC you will scout, diagnose, treat sites and provide feedback to your project director on pest populations, disease stresses and plant health.